A pre-wax cleaner is a product that helps to prepare the surface for a layer of wax, the effects the product can have can differ from just preparation by cleaning, to filling swirls (like a glaze) and leaving an oily residue for added gloss. After washing and decontaminating the surface, the surface might not yet be optimized for the application of wax. For wax to bond properly, it needs a clean surface. Oils are often not that much of a problem since the wax product contains oils of itself. To many oils however, can prevent the wax from hazing quick enough and in some extreme cases it can even prevent the wax from bonding. This risk is much greater with a sealant or coating, than with a wax. A pre-wax cleaner can be used to prepare the surface for a layer of wax, if the wax and the pre-wax cleaner are made by the same manufacturer, chances are that the polymers are aimed at working together. This allows from cross-polymer bonding and will help the wax to perform better and sometimes also to last longer. In general there are 3 ways a pre-wax cleaner can work. These properties can be combined into 1 product. This type of pre-wax cleaner removes oils and some other light residue. This is often based on an oily solvent such as orange-oil (limonene). It helps the wax to bond properly by removing residue from the surface, and leaving behind a clean and uncontaminated surface. Note that this does not work as clay. And does not remove regular contamination is the wax clay does. The effect of this product is mostly technical, because it won’t necessarily make the wax perform better or make it look better. This type of cleaner will act more like a glaze or very light polish. It is rough enough to either remove marring, or to fill marring and light swirls with thicker oils. The residue from this product will stay behind in the tiny gaps that are the swirls and/or marring, and will make them much less noticeable. This type of effect is mostly cosmetic. It won’t necessarily make the wax perform better or last for longer, but it will make the end result look better. If both products are from the same manufacturer, there is a chance that it is designed to bond. The cross-polymer bonding will help the wax to perform better. Some pre-wax cleaner are just designed to make the application of wax more easy. A perfectly clean surface might not be very slick. The application of this type of product will make the surface much more slick, which in turn makes the application of wax a fair bit easier. The cosmetic or technical effect is very small, and often hardly noticeable. But the practical effect can make the application easier. Although these are separate properties, these properties can be combined into one product, however it is very difficult for a manufacturer to make them work in an even quantity. This product is often fairly liquid, with a viscosity similar to polish. In structure, it is similar to a glaze. It is usually sold in bottles. It can have added coloring and/or fragrance to make it nicerwax, pre-wax, cleaner, protection, surface, imperfection, to work with. The pre-wax cleaner is designed to be applied just before applying wax. 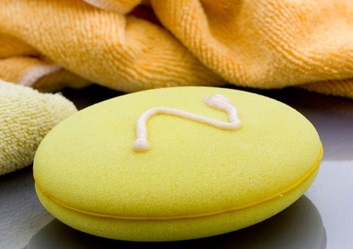 In most cases there is no need to use a glaze if a pre-wax cleaner is being used. The application can be done with a machine and a very soft finishing pad or by hand with an application pad.